Manny Ribera to Tony Montana, "I mean, look at the way he dresses. Come on. That's style, flash, pizzazz." Keeping that in mind, one of my boys (who shall remain nameless for sake of sheer embarrassment) stepped-out of the bathroom — flossing his outfit and asking for our approval. To be totally honest, his outfit was tight but then I noticed his boxers which was sticking-out above his jeans. I quickly asked, "What kind of boxers are you wearing?" 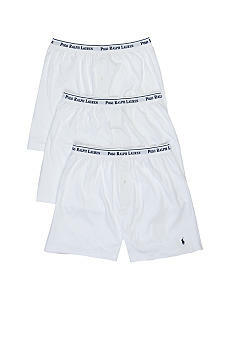 He stutters, "Uh, um...regular boxers...it's either Hanes or Fruit of the Loom." 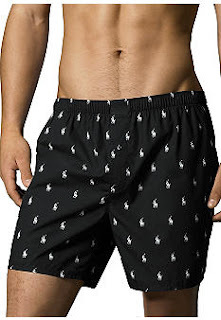 I then began to accost him and lay-down theKONGBLOG™'s FASHION SENSE, "Listen, there's nothing wrong w/ your underwear but come on bro, we're all on vacation in South Beach...Miami, Florida! There's nothing but ballers, celebrities, models, rich folks everywhere...you know, flash, pizzazz....you're rockin' designer duds and yet, walk around w/ boxers that high school kids wear?!" I also added, "What if you decide to take-off your shirt or tank-top? Versace and Hanes don't mix!" After this mini-lesson in fashion, the one -who shall remain nameless, went to the Ralph Lauren store on Collins Avenue and purchased a weekend supply of boxers & boxer-briefs from Polo Ralph Lauren®.